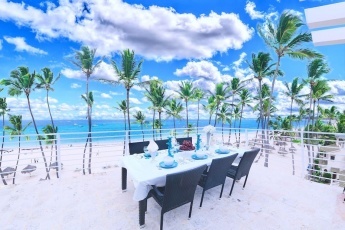 Spend your sunny holiday in the Dominican Republic at one of our Punta Cana ocean view villas located on the finest beaches of Punta Cana and Bavaro. Sand castles, ocean breeze, reading novels on the beach, sound of waves, seafood and fresh fruit… It sounds very tempting, does not it? Find your dream villa just a few steps from the ocean. 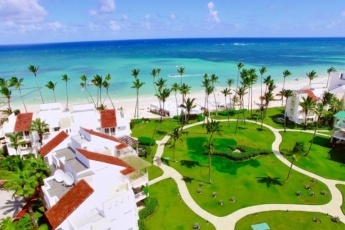 Our Punta Cana ocean view villas are located along the Atlantic coast! Villas are great for a romantic getaway and family vacation, as well as for a big company. Comfortable villas are located just a few steps from the ocean. 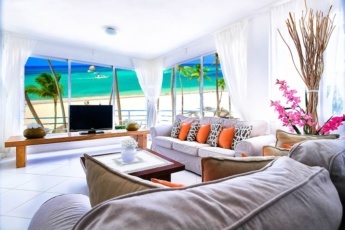 As a result they have stunning views of the beach, turquoise water and tall palm trees. These spacious villas have everything you may need for a comfortable stay: free Wi-Fi, air conditioning, television, fully equipped kitchen and bathroom with amenities. Finally, restaurants of local and international cuisine, as well as supermarkets are within walking distance. Hence book Punta Cana ocean view villa, enjoy your holiday in Punta Cana to the fullest! See you soon in Punta Cana!